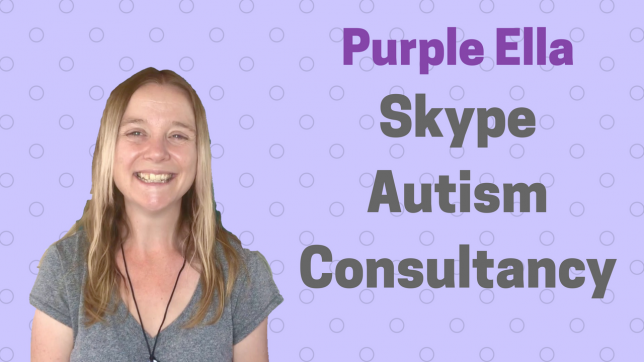 I’m excited to be offering a new online Skype autism consultancy service. For more info go here. I’m hoping it’s going to be a really helpful way of offering targeted, personalised support for autistic people and their families. It’s been difficult figuring out which way to take the work I do with Purple Ella, so I’m hoping this video will explain a little more which I’m offering this service and how it will work.